Lokoja – A magistrate and Deputy Chief Registrar (litigation) Mr. Zekeri Aguye has lost his life due to his inability to offset medical bills. Aguye who had been receiving cancer treatment at the National Hospital Abuja but was ejected from the hospital for not being able to pay for drugs and other services died on Tuesday, 19/3/ 2019. In a presss release made available to journalists in Lokoja, and confirmed by the Chief Registrar of the state High Court , Mr. Yahaya Adamu lamented that Aguye would have survived if his salaries of nine months had been paid to him. The Chief Registrar noted that although they could not question the Almighty God over his death but said his death was avoidable if Governor Yahaya Bello had placed premium on the welfare of workers. “I’m very sorry to say that even as we submmit to the will of Almighty Allah, who gives and takes life, you and I know certainly that sometimes there are deaths that are inevitable, but this case we felt it may have been further delayed if we had continued to manage his ailment as we were doing in the past before the judiciary was financially grounded. “Mr. Aguye’s ailment started two years ago when he was diagnosed of the disease. With quick and appropriate response from the family and the judiciary, the deceased received the right and necessary medical treatment. He was taken to the National Hospital where he was treated to the extent that he even started driving his car by himself having survived the critical period of the illness that also affected his spine. “He was subsequently placed on drugs and periodic examinations by the hospital which we consistently complied with. This processes costs between #400, 000 to #500,000 naira monthly and with the cooperation of the family and others we were coping with the management of the illness. “However, we started having problems with his treatment as from the middle of last year when Kogi State Judiciary started facing funding crises. At this point, his salary, allowances and even the little assistance the judiciary was giving him ceased to come anymore. His care suddenly became the exclusive responsibility of the wife and the family. “As a matter of fact, before he finally gave up the ghost, he was withdrawn from the National Hospital for lack of fund. It is at the critical point of his death that he was rushed back to the hospital by which time it was already too late. So I will like to use this medium to ask well-meaning Nigerians to plead with His Excellency, Governor Yahaya Bello, to save Kogi judiciary and the state similar calamities by releasing the judiciary funds so we can pay the nine months we are owing our workers. “As I speak, many staff have been hospitalised, their children withdrawn from schools and some even homeless resulting from tenancy problems with their respective landlords” the Chief Registrar lamented. Speaking with the Daily Independent, the Chairman Kogi State chapter of the Judiciary Staff Union of Nigeria (JUSUN), Comrade Emmanuel Waniko placed the death of Aguye on the table of the government for holding back salaries of the Judiciary workers for upward of nine months. 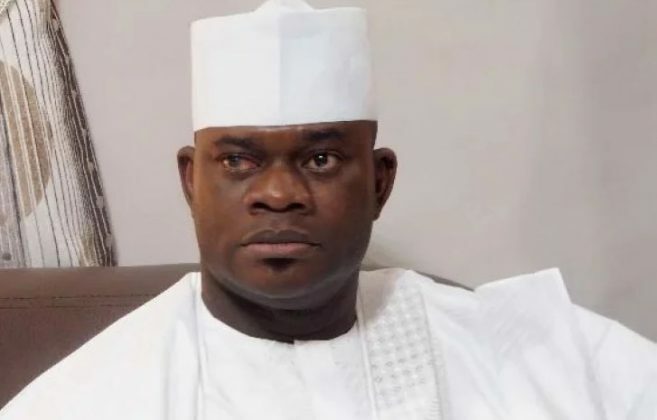 “So, as we have buried the deceased and are still mourning, we plead that the monies amounting to several months salaries due to Kogi State Civil Servants working in the Judiciary are sitting in the banks as said by His Excellency, he should kindly order the payment of judiciary subventions to avoid further agonies” the JUSUN Chairman pleaded. In its own reaction, the Kogi State Chapter of the Peoples Democratic Party PDP has called on the government to immediately begin the payment of the outstanding salaries of the judiciary and other civil service staff in the state. In a statement signed by Achadu Dickson, Director Research and Documentation, the PDP described the death of the judiciary officer as avoidable, like that of several others who on a daily basis are losing their lives over the state government inability to pay salaries of workers. The party lamented that workers can no longer meet their primary obligations of feeding their families, payment of school fees, said the worst scenario is that many sick workers who are on drugs and medication can no longer afford to buy them. The PDP described the Kogi situation as another replica of Pharaoh in the biblical Egypt who took delight in foisting hardship on the people, asked Governor Yahaya Bello to let the people go with their salaries and pension, before the state becomes a grave yard.